The official Pflegetab opening event took place on April 29th 2015. The event was hosted by the DOMICIL Seniorenpflegeheim Am Schloßpark, Berlin-Pankow. 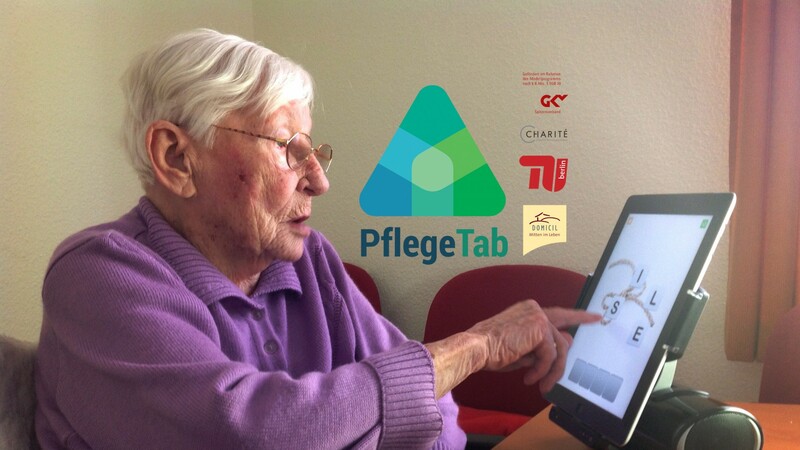 Staff members from all eleven DOMICIL facilities in Berlin attended the event and were excited to learn about the goals of PflegeTab project. Ines Jesse (DOMICIL Am Schloßpark), Prof. Dr. Adelheid Kuhlmey (Charité Universitätsmedizin Berlin) and Jeanette Podßuweit (DOMICIL Seniorenpflegeheim Am Frankfurter Tor) held the formal welcoming speeches and gave an overview of the general background and motives of the project. Subsequently, the project-team outlined the individual project-stages, explaining each step of the technological development and the research phases to the audience. The presentations were followed by an interesting lively discussion between audience and panel. Overall, the audience was very enthusiastic about the project. All presented information can be found here.